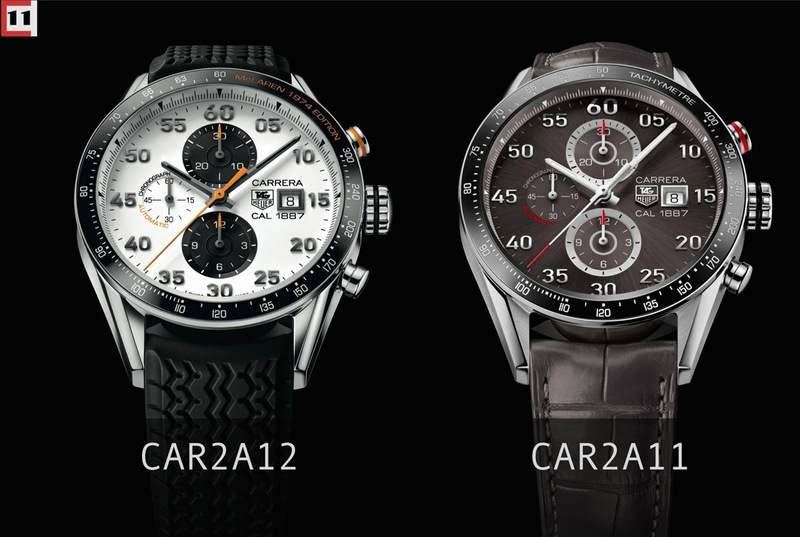 TAG Heuer began sponsoring the Goodwood Festival of Speed in 2011, and just a few weeks ago signed a fresh agreement for the next three years as the Official Timing Partner of the event. This is good news for watch fans, because traditionally, sponsorships like this result in new watches. 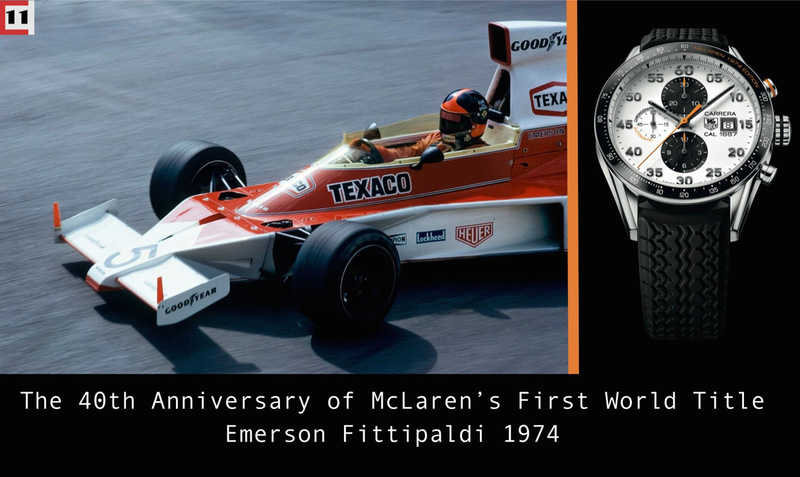 New TAG Heuer watch for the 2014 Festival of Speed pays homage to 40th anniversary of special event, when Brazilian Emerson Fittipaldi won the first of his three World Championships for McLaren. 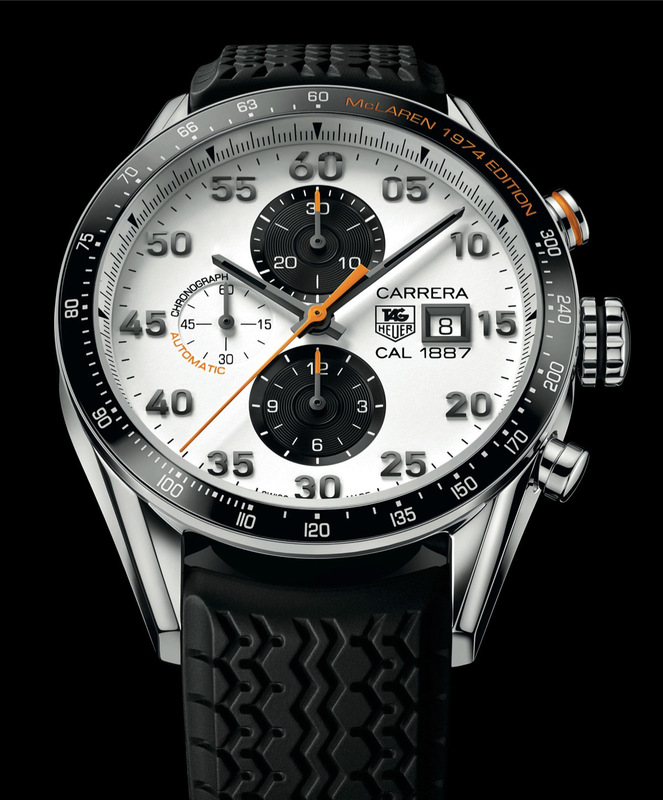 The TAG Heuer Carrera McLaren 1974 Edition is based on the 43mm Carrera 1887 Ceramic Bezel, but with a few bespoke changes. The dial of the watch is Silver opaline in White which is contrasting with the two Black sub-dials at 12 and 6 o’clock which lose the Silver border of the standard model. The usual Red detailing on the hands, chronograph pusher and “Automatic” text are replaced by McLaren’s traditional Orange. One of the most effective elements of the dial are the Black-Gold finishes applied to the hands and double-numerals. The TAG Heuer logo is printed, rather than featuring an applied logo. The 2014 Goodwood Festival of Speed will take place from Thursday 26 June to Sunday 29 June. Taking place at Lord March’s Goodwood estate near Chichester, West Sussex, the event has usurped traditional events like motor shows to become the place for car markers to show off their latest efforts.